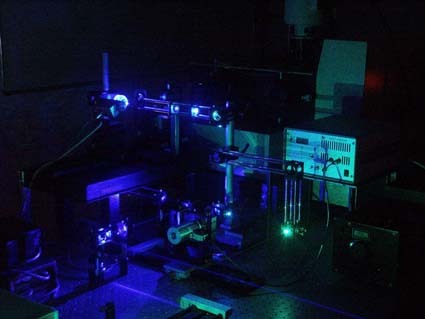 Vibrational spectroscopies are the key methods in our research projects. The vibrational spectrum of a molecule contains comprehensive information about the ground state structure and electronic properties as well as the interactions with the molecular environment. For the investigation of proteins including cofactors, resonance Raman (RR) spectroscopy is the method of choice since upon excitation in resonance with an electronic transition only the Raman bands of the chromophore are enhanced such that the cofactor spectrum becomes visible on the background of the optically transparent protein matrix. Thus, RR spectroscopy provides insight into the structure of the active sites. 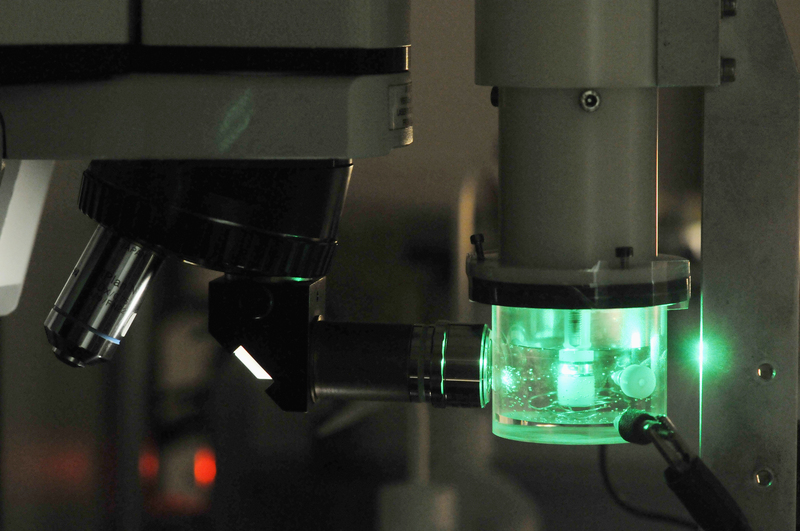 Employing cryo-trapping/rapid-freeze quench methods and „pump-probe“ techniques, RR spectroscopy can also probe intermediate states and, hence, constitutes an important approach for elucidating molecular mechanisms and reaction dynamics of enzymes and chromoproteins. In the case of IR spectroscopy, selectivity is achieved via the reaction-induced IR difference technique by which only those bands are monitored that change during a specific reaction step. Also IR difference spectroscopy can be employed not only in the static (i.e., at low temperatures) but also in the time-resolved mode to characterize intermediate states and their temporal evolution. A further increase of selectivity and sensitivity is possible for molecules immobilised on nanostructured Ag or Au surfaces. Interactions between the radiation field and the surface plasmons of the metal lead to a selective enhancement of the vibrational bands by several orders of magnitude such that only the spectra of the immobilized molecules are probed (surface enhanced [resonance] Raman – SE[R]R; surface enhanced infrared absorption – SEIRA). If the metallic support is simultaneously used as a working electrode, SER/SERR and SEIRA experiments can be carried out under potential control. In combination with the potential jump technique, these spectroelectrochemical approaches also allow for time-resolved measurements. For the analysis of the vibrational spectra, quantum chemical methods and molecular dynamics simulations are indispensable tools. In this respect, we are tightly collaborating with the group of Maria Andrea Mroginski. 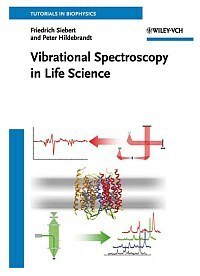 An introduction into theory and praxis of vibrational spectroscopy and its application to biological systems is given by the book “Vibrational Spectroscopy in Life Science“ by Siebert, F; Hildebrandt, P.; Wiley-VCH, Weinheim, 2007.